Drinking three cups of coffee a day could help clear out your arteries, according to a new study. 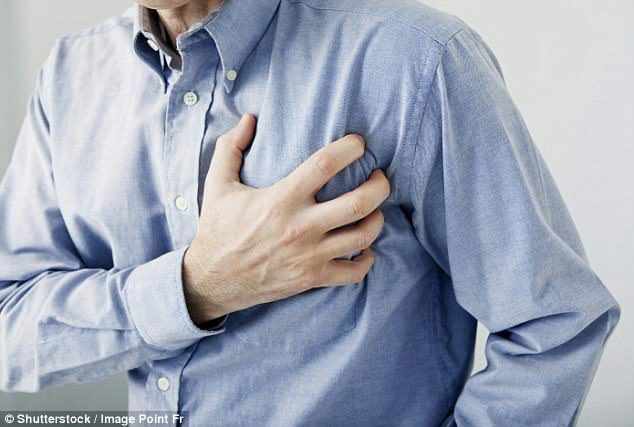 The scientists from the University of Sao Paulo found that people who drank more coffee each day had less ‘calcified’ arteries – meaning fewer calcium deposits on the aortic valve in their hearts. ‘In our research, we found that habitual consumption of more than three cups a day of coffee decreased odds of coronary calcification’, the study author, Andreia Miranda, said. Having more than three cups a day was found to most effective – although, the researchers warn, much more than that might be unhealthy. However, they are not sure what in coffee boosts heart health – it may be caffeine or any of the previously established antioxidant properties of the popular drink. To conduct their study, which was published Journal of the American Heart Association, they took dietary information and Coronary Artery Calcium (CAC) readings from more than 4,400 study participants. Almost all drank caffeinated coffee: around 56 percent said that they drank coffee at least twice a day, while around 12 percent said they did so more than three times a day. Furthermore, around 10 percent had very high CAC readings, which indicates the level of calcium deposits in their arteries. The researchers found that higher CAC scores related inversely with the amount of coffee participants had had, meaning those who drank larger amounts of coffee had a lower CAC reading. And those who drank more than three cups a day tended to have the best scores. That’s not to say drinking more and more coffee would continue to reduce coronary calcification. ‘We have not tested the limit of cups of coffee for which there was a protection,’ Ms Miranda said. They also don’t know yet what it is in coffee that could be having this effect. ‘Coffee is a complex mixture of minerals and various components,’ she said. Previous research from the same team found that coffee shows some possible benefits in reducing the risk factors of heart disease. For example, keeping blood pressure and homocysteine (an amino acid from red meats) at healthy levels. What else is coffee good for? Scientists believe the antioxidant plant compounds in coffee may be responsible for some of the benefits. For example, decaffeinated coffee has a similar impact on the standard version suggesting the caffeine is not responsible for health benefits. A research team, which included experts from the University of Edinburgh, reviewed all the available evidence on coffee consumption, combining the findings of 201 published studies. ‘Roasted coffee is a complex mixture of over 1,000 bioactive compounds, some with potentially therapeutic antioxidant, anti-inflammatory, antifibrotic, or anticancer effects,’ they said. They found it had a major impact on heart problems, cutting the risk of developing cardiovascular disease by 15 percent and slashing the chance of a cardiovascular death by 19 percent. It also cuts the risk of liver cancer by 34 percent and bowel cancer by 17 percent – but actually seems to increase the risk of leukaemia, lymphoma and lung cancer. Coffee drinkers have a 36 percent lower chance of developing Parkinson’s disease and a 27 percent lower risk of Alzheimer’s, they found. The researchers found people who drank more than three cups a day did not tend to see any additional benefits, and other studies have shown people who drink much more than this start to do themselves harm. The European Food Safety Agency advises that people drink no more than four cups a day. It says those who drink more than this each day run the risk anxiety, sleeplessness, heart rhythm disturbances or heart failure. In an editorial also published in the BMJ, Eliseo Guallar of the Johns Hopkins Bloomberg School of Public Health said people should not start drinking coffee for health reasons. While overall it may be beneficial, some people may be at higher risk of adverse effects, he said, and there is ‘substantial uncertainty’ about the effects of higher levels of intake. Coffee is often drunk sugar and milk or cream, he said, which ‘may independently contribute to adverse health outcomes’. Coffee is one of the world’s most commonly consumed drinks, with an estimated 2.25billion cups drank around the world each day. Its use is thought to date back to 11th-century Ethiopia, where legend says a goat herder noticed his animals became energetic after eating the berries from a coffee tree. Until recently people were warned against drinking more than a few cups of coffee a day, for fear that it might cause cancer. 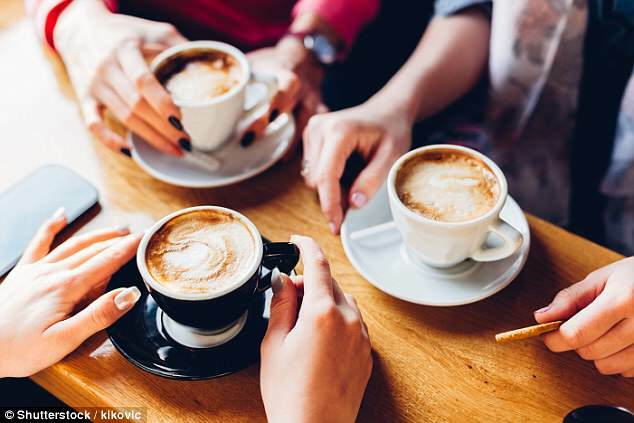 But last year the World Health Organisation withdrew its previous warnings on the link between coffee and bladder cancer – and instead said that the drink could, in fact, help protect against certain cancers such as womb cancer and liver cancer. Pregnant women are advised by the NHS to drink no more than two cups a day.